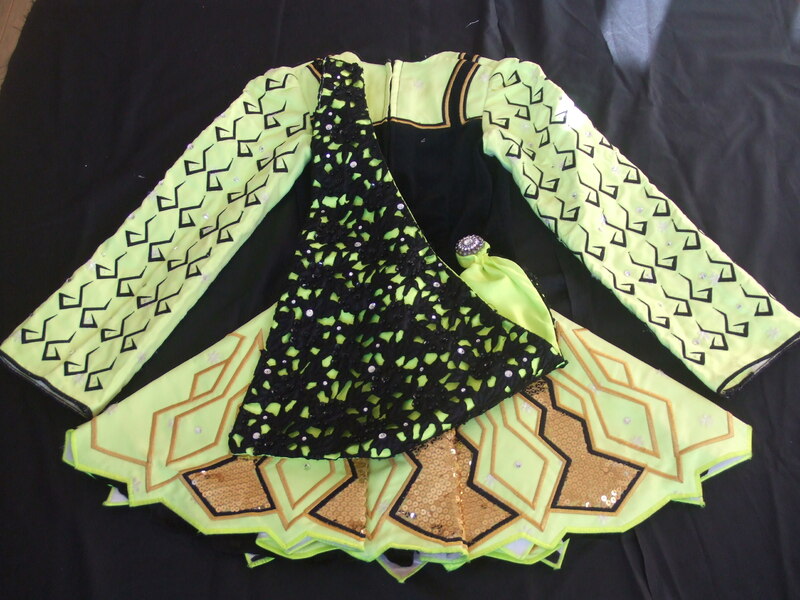 Gavin Doherty Irish Dance Dress for sale. Vibrant yellow, black velvet and gold. 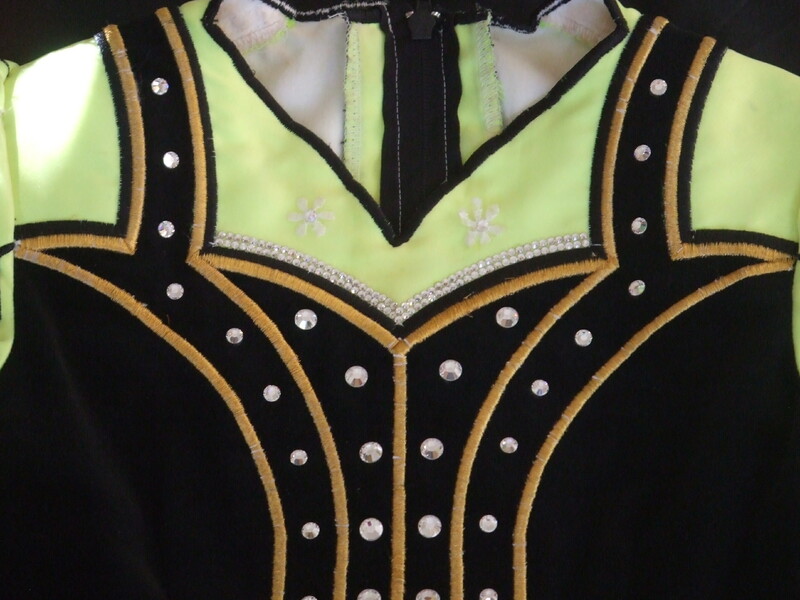 This dress is adorned with hundreds of Swarovski Crystals which adds to its elegance. 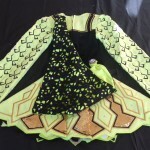 This dress comes with New Headband, backing for a tiara, broach for cape and matching bloomers. 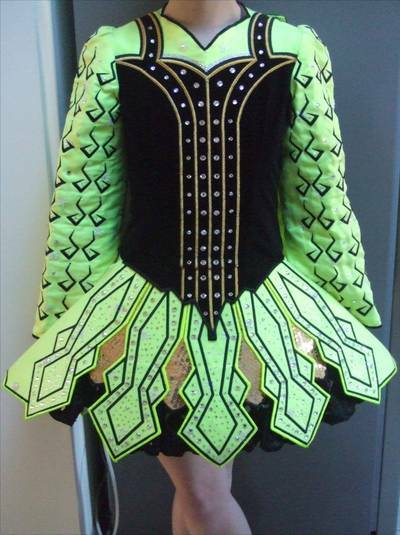 The underskirt is white with black polka dots. 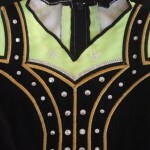 There are no marks or snags on this well cared for dress. There is approximately 2â€ to 3â€ to let out in the body and an inch to let down.